Germplasm banks (ex situ conservation in case of recalcitrant seeds) play an essential role to protect and maintain the genetic diversity of any crop and are the sources to obtain new varieties. These collections must be well characterized for their proper conservation and availability to be used as tools for researchers and breeders. When a germplasm bank is huge, it leads to difficulties in handling, space, costs, etc. This is particularly important for fruit trees that have recalcitrant seeds and have to be maintained as living plants. Therefore, it is important to find a sub-collection of reduced size, that maintain the genetic diversity of the whole bank with the minimum possible number of accessions, which is called core collection (CC). These CCs allow the study of any character of interest and even to perform genetic association studies. Citrus is one of the most important fruit crops worldwide. It is formed by four basic taxa, pummelo, citron, papeda, and mandarins. 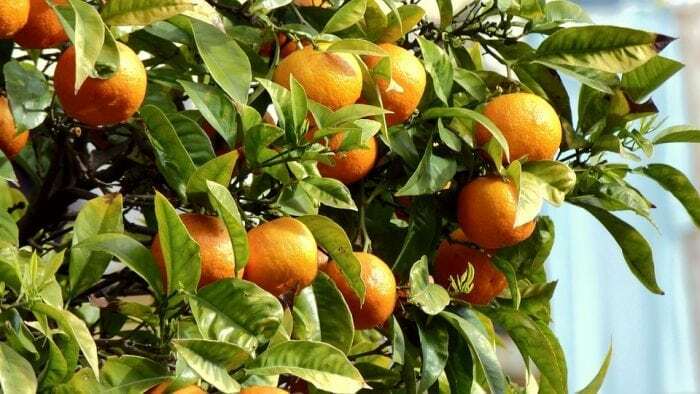 The mandarin horticultural group (Citrus reticulata) has high variability and admixture between genotypes which have been involved in the genesis of currently cultivated spontaneous interspecific hybrids, including sweet orange, sour orange, clementine, and others. A total of 167 genotypes from two of the most important citrus collections (IVIA, Spain; INRA/CIRAD, France) were characterized with molecular markers (SSR, Indel, and SNPs) and phenotyped using 18 IPGRI (International Plant Genetic Resources Institute) descriptors. In this study, several software packages (DARWin, PowerMarker and MSTRAT) and methods (Max length subtree, M strategy, simulated annealing and MinSD) were compared to define a mandarin CC, with two different aims: the maintenance of the maximum variability with the lowest number of samples, and to allow genetic association studies (low value and rapid Linkage Disequilibrium (LD) decay). The main parameters checked were the genetic variability (Ho and He) of the initial collection, the level of LD and the phenotypic diversity retention, which was used to validate the CCs obtained. The Max length subtree function (ML) from DARWin software seemed to be the most appropriate method for establishing a CC in mandarins. It maintained 96.82% of the allelic richness with only 30 accessions, that represent 17.96% of the size of the initial collection. Besides it did not increase the LD (r2 value) of the initial collection and retained the vast majority of the phenotypic variability, therefore it could be used for studies focused on economically important traits (resistance to diseases and pests or fruit quality parameters). However, a CC with 70 accessions would be more helpful for genetic association studies. As the MLsubtree sampling method was appropriate for citrus, it could be applied to other species to facilitate an efficient management of the genetic resources. Finally, any CC should be periodically revised, since other interesting genotypes or even new molecular markers could be included in the selected subsets in order to make the CC more dynamic. The study, Comparative analysis of core collection sampling methods for mandarin germplasm based on molecular and phenotypic data was recently published in the journal Annals of Applied Biology. Andres Garcia-Lor is affiliated with the Valencian Institute for Agricultural Research, Plant Protection and Biotechnology Research Center.